Traveling with a child can be an experience most of us won’t forget! Add to that traveling with a child with food allergies, and the experience can be extremely pleasurable with the proper preparation, or a nightmare. It’s all in the preparation! We have found that traveling requires plenty of pre-planning. Because of my son’s food and pet allergies and mild asthma, we have a proven procedure we use for successful traveling. With a small child who has severe allergies, just traveling out of the house can be a true test of your planning skills. Diapers, bottles, toys, stroller, medicines and safe food are all necessities. Traveling by car or by airplane can add needed preparation, and then the dreaded ‘eating out’ either at a relative’s house or at a restaurant requires precautions also. We’ve found certain steps to increase the happiness of all family members, and safety is our first priority! Each family has its own comfort level, and you will have to determine how much stress you can handle. When my son was an infant, we would pack up his diaper bag with his medications and safe food before leaving the house. This was in addition to all the ‘regular’ baby items that are necessary to make even a trip to the grocery store manageable! It was never safe to assume that our destination would include safe food for him. We found too many times assuming that we’d be able to find him a snack left him famished before anything safe could be found. Therefore, we began carrying safe food for him everywhere he went. A small lunchbox that could be kept cold with a frozen blue ice pack worked the best. Since he has problems with food dyes, we also carried drinks. We kept his medications in a fanny pack when he was young. In his fanny pack, he had two epinephrine kits, in case one misfires or doesn’t work. 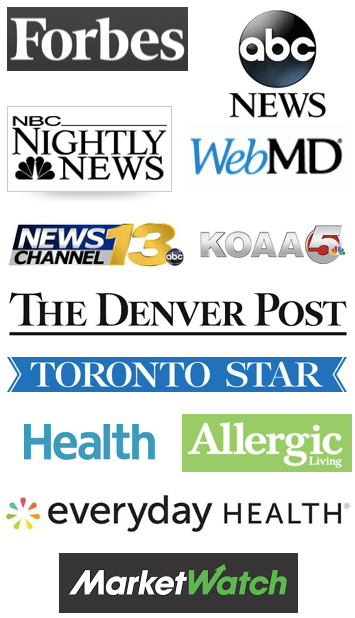 We also carry Benadryl Fastmelts®, an inhaler and allergy eye drops. A note of caution: make sure to keep track of expiration dates on any medicine that you have in your medicine kit. An expired EpiPen® won’t do you any good should an anaphylactic reaction occur. We practice giving the expired EpiPens® on an orange so that our son knows what the ‘real thing’ will look and feel like. Another EpiPen® pack is left at home at all times. This does require purchasing multiple epinephrine kits, however the chance of accidentally forgetting his medication somewhere made the extra purchase worthwhile. As he aged, our son became responsible for carrying his EpiPens and Benadryl®, and does so now in his pocket. We found a Garman case that carries a GPS device perfectly fits two EpiPens and Benadryl Fastmelts®! Most preschoolers are not bused to school. However, if you are in a carpool, it will be necessary to ensure that your child’s medications are with your child at all times. Also, the other adults in the carpool will need to be taught how to work the EpiPen® and how to recognize an allergic reaction should one occur along the trip. Many elementary school students do ride a bus. 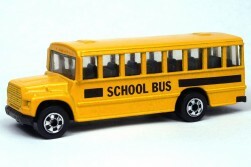 Your child’s bus driver will need to be educated regarding food allergies, reactions and EpiPen® use. In our school district, bus drivers are not responsible for the epinephrine kit. Believe it or not, the child carries the epinephrine kit on the bus each day, and then keeps it in the backpack at school. This ensures that the EpiPen® doesn’t end up being left in the bus to freeze or overheat. Your school district may have different rules, so it’s important to resolve who is responsible for carrying the epinephrine kit while your child rides the bus. If you drive your child to school or walk, it will be necessary to carry medications for the trip should an allergic reaction occur. We’ve found that allergic reactions have the most amazing ability to occur when we least expect it, and therefore we never walk out of the house without our son’s medications. Once my son became old enough to wear a fanny pack – by the age of 5 – he began carrying his medications when we left the home. We felt this would encourage him to become aware of what he always needed to keep himself safe. It took a few years of reminding him to wear his fanny pack before he became constantly vigilant in wearing it EVERY time he left the house. He now takes this responsibility seriously and knows it is his job to ensure his safety by carrying his medications. We no longer have to remind him; it’s become his responsibility entirely. When Morgan was very young, I never signed him up for day camps, and I never allowed him to sleep overnight at a camp for fear of the food involved. As he aged, he began to want to participate in these activities. He also has more of an ability to monitor the food and to determine if an activity will be safe for him now that he’s a teenager. Day camps frequently are run by volunteers and/or high school age kids in our area. These types of camps include art lessons, church camps, Cub Scout day camp and music camps. We’ve found this to be a hazardous situation in most cases unless my husband or I participate. There are many wonderful activities in which to participate during a 4-hour or 8-hour day camp, however most volunteers are unaware of how to manage children with severe food allergies and possible allergic reactions. And during that time period, lunch or snacks will inevitably be served. Having the ability to explain food allergies the day one arrives at a camp and teach every adult how to administer an epinephrine kit isn’t likely to occur. We’ve found it virtually impossible to prepare in advance for these day camps, since the volunteers show up only on the very day of the event. We therefore participated as Den Leaders for Cub Scouts, or as an adult volunteer with any of these activities. That afforded us the opportunity to monitor the food, which allowed our son to be a participant. In regard to overnight camps, we’ve had very good luck. Morgan has gone for a week to the local YMCA camp and for a week to a Boy Scout Camp with much preparation beforehand. He even attended the Boy Scout National Jamboree in the summer of 2010 for a total of 17 days! These camps are more likely to have medical personnel on staff, and are manned by paid employees. There are medical forms to be completed prior to camp. We can list all his food allergies and the daily medications required to keep him properly medicated. If we are going to a location where my son hasn’t ever visited, our allergist has suggested that we bring a prescription of Prednisone just in case he has a bad allergic reaction. If we are traveling by car, we bring as much safe food as possible in a cooler. That way, if we do eat at a restaurant that isn’t safe, our son still has something nutritious to eat! We have had too many experiences where, in a small town, the offering of restaurants is minimal, and the food is not safe. We’ve walked out of plenty of restaurants because of shared cooking surfaces and shared cooking oils, which can create cross-contamination issues. It ends up making for hungry parents and angry children. Not a fun way to vacation! 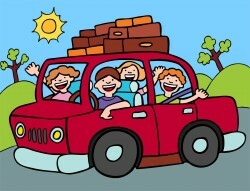 Many times, we have carried our food for a week’s vacation with us in the car. Camping for a week requires food to be brought, and other vacation destinations frequently create long driving trips to find safe alternatives to foods that are readily available at home, such as nut free cookies. Even with my son’s contact reactions to peanuts, he hasn’t had problems traveling by airplane. We haven’t had to request a peanut free flight; however there are several airlines that do provide some accommodations such as pre-boarding for the peanut allergic (Southwest Airlines) or a buffer zone of three rows in both directions (Delta Airlines). Many airlines don’t serve peanuts, however people bring food with them on the airplane, which is very difficult to monitor. This food could be hazardous to your child. I’ve seen peanut butter sandwiches and pistachio nuts brought on board as snacks for adult travelers. We find it best to travel early in the morning on the first flight to have a better chance for a clean airplane. We’re very aware of who is eating around us and what they are eating. We wipe down our surroundings with hand wipes at a minimum. Other parents have suggested bringing a crib size sheet to put over the airplane seat to ensure no peanut dust would touch your child. For those parents who feel more comfortable traveling with peanut restrictions on flights, make sure to tell the reservation agent when you book the flight. You might also want to prepare a speech for the flight attendant or pilot to read concerning your request for a peanut free flight. There is no guarantee however this request will always be fulfilled. Post 9/11 security has been heightened in relation to the ability to carry EpiPens® and inhalers on an airplane. You may be asked for a doctor’s letter stating your child’s medical condition and the need to carry medication on board. Make sure you have this letter BEFORE you leave on your trip! We have never had any issue bringing EpiPens on board however. 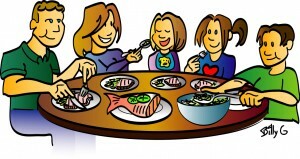 Some extended families are wonderful when it comes to being educated about food allergies. They want to understand everything that is necessary to keep your child safe. Other family members may accuse you of being hyper-vigilant and over controlling. The most important factor is to keep your child safe in these new surroundings regardless of anyone else’s opinion. You will want to have a lengthy discussion about safe and unsafe foods prior to your visit. Has your child had contact reactions to certain foods? If so, you’ll probably want to request those foods not be eaten while you are visiting. If you feel more comfortable making all of your child’s foods, you’ll need to have that discussion also. Grandma may want to make her special peach pie, and not realize that the pie crust made with almonds could cause anaphylaxis for the nut allergic. You may have to request that no one feeds anything to your child, and that is a very difficult message for some relatives to hear. We’ve found older relatives are more likely to negate the existence of food allergies and want to feed ‘just a little peanut’ to our son to help his immune system get accustomed to them! It’s very difficult for them to understand that one bite of the wrong food can kill him, and every bite of food must be monitored. If you are staying at a relative’s home and if your child has asthma, smoking in the house can be extremely hazardous, and may land your child in the emergency room. Because smoke is so difficult to remove, you may need to stay elsewhere for your child’s comfort. Pet allergies can cause the same reactions, and for that reason we always stay in a condo when traveling to visit our family. The main thing is to be able to enjoy family without having any allergic reactions. This is a difficult balance to achieve at times; however trips sure are nicer when there is no visit to the local emergency room! When you are making reservations, tell the reservation clerk of your child’s allergies to ensure you get what you are expecting in terms of room accommodations when you arrive. If you need a refrigerator in the room, make sure to ask for one. Embassy Suites almost always have one in the room, and other hotels can frequently provide one if asked. We frequently stay at Marriott Residence Inns which have full kitchens where we can prepare every meal. 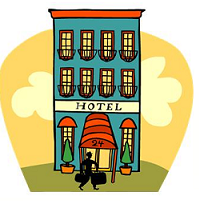 Ensure that you have booked a non-smoking room at your destination if this is needed. Some hotels will run out of non-smoking rooms (especially in Las Vegas), and if you haven’t guaranteed it, you’ll be out of luck. Book a pet free room if this is necessary. Many hotels now allow for pets in rooms. Even the Waldorf Astoria in New York City allows pets. If your child has allergies to dogs or cats, MAKE SURE you have a guaranteed pet free room. Cleaning after a pet has been in a hotel room isn’t a guarantee that all the dander and fur has been cleaned enough to mitigate an allergic reaction. If you are traveling to a small town, check out the location of the nearest hospital just in case your child has an allergic reaction. This is a good idea whether you’re in a large city or a small town. Some very small towns don’t have a hospital, or only have a medical clinic that closes at 5 pm. This might necessitate you bringing several EpiPens® on vacation to give you the appropriate amount of time to safely transport your child to the nearest medical facility in a neighboring town should anaphylaxis occur. Breakfast buffets in hotels can be wonderful or a disaster depending upon your child’s allergies. Peanuts rarely are used in breakfast food, except for granola, and we’ve found breakfast to be an easy meal to eat out. If your child is allergic to eggs or milk, breakfast buffets can be very hazardous and hidden ingredients difficult to uncover. Hotel wait staff may not be helpful as to specific ingredients in the food. Condos make for the easiest traveling we’ve found. Because they have fully equipped kitchens, we can make our own food and pack it up if desired for lunches and day trips. We find a grocery store and shop for food once we arrive, if we’ve traveled by airplane. Rice milk, once only found in health food stores, can frequently be found in local grocers. It might be necessary to thoroughly clean the pots, pans, dishes and silverware before using them for yourselves. Running them through the dishwasher prior to use ensures that no unsafe food was accidentally left on by a less than thorough cleaning. It is possible to eat out with a child with food allergies. Some families feel more comfortable bringing their own food for the child, and the rest of the family eating off the menu. Other families, like ours, choose restaurants that are safe for everyone to enjoy. Not every restaurant is safe, and it does require educating the waiter, waitress or even the chef in some instances. We’ve found restaurants that train their chefs regarding food allergies. Maggiano’s Little Italy and PF Chang’s are chain restaurants across the USA, with wonderful training on food allergies given to their staff. Their wait staff will bring out the chef when you mention food allergies. We’ve had lengthy conversations with the chef about my son’s allergies, and been able to have discussions of safe cooking methods or alternatives to foods on the menu. They have always prepared a safe meal, which is worth so much! If you have a shellfish allergic or fish allergic child, it is best to not eat at seafood restaurants. The chances of cross-contamination are great, especially when you are assuming that other people will be as careful as you are with avoiding the offending allergen. Your child may not be able to eat several of the fried foods on a menu with a shellfish allergy since many restaurants do not separate their fryers. Fried shrimp may be prepared in the same fryer as French fries, and this much exposure can cause tragic results. We therefore read the entire menu of a restaurant before deciding if it is safe for our son. We’ve even tried to eat at a Mexican restaurant that had fried shrimp on the menu. Therefore, the chips and sopapillas weren’t safe for our shellfish-allergic son to eat! If your child is peanut or tree-nut allergic, it’s best to not eat at Chinese, Thai or Indian restaurants because of their frequent use of nuts and peanut oil. Many Dairy Queen’s and Mrs. Field’s Cookies restaurants have a sign indicating that all of their products have a good possibility of being exposed to nuts. 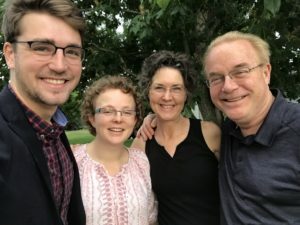 Chick-fil-A uses peanut oil for all of their cooking, and we aren’t comfortable allowing our son to eat refined peanut oil, even though many peanut allergic children can tolerate it. If you have a milk-allergic child, do not choose yogurt or ice cream stores. Some of these locations do have non-dairy alternatives. However, various forms of casein can appear in non-dairy foods. Avoid Mexican restaurants (too much chance a drop of grated cheese can cross-contaminate), Italian (same for parmesan cheese), Chinese (lactose seems to be in a lot of sauces), and breakfast restaurants (pancakes and scrambled eggs require milk and butter). If you have an egg-allergic child, watch for breakfast restaurants. Pancakes, waffles and omelets (of course!) all contain eggs. Again, the chance for cross-contamination is great depending upon the severity of your child’s allergy. We now carry a chef card that delineates all of my son’s allergies, what cross-contamination is, and the potential of a severe reaction. This card identifies my son’s allergies and explains alternatives for the chef. 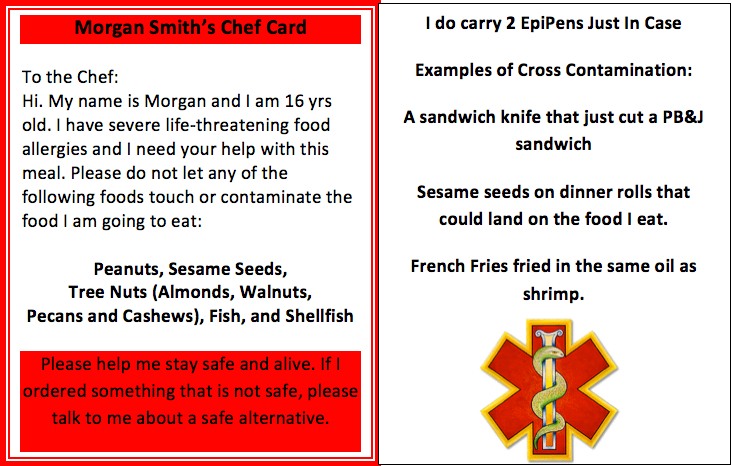 We have opted to create our own, personalized chef card, and laminate it for carrying in our son’s travel pack. If you’re planning on traveling to Europe, a chef card translated into French, Spanish, Italian or German may be necessary. On the Fun Stuff We Recommend link on AllergicChild.com we have listed companies who make these types of chef cards.We have found this chef card to be a lifesaver, literally. My son ordered steak and mashed potatoes at a restaurant while we were on vacation. He gave the waiter the chef card. The chef told us that the mashed potatoes were made with peanut oil, and suggested an alternative. Who would have ever thought that mashed potatoes would have peanut oil in them! Eating at a friend’s house is comparable to eating out at a restaurant for our son. We’ve had friends who are wonderfully accommodating with him, and others who have no idea what it takes to keep him safe. When our son has gone to a friend’s house for a sleepover, he always brings his own food. We ask that they not serve peanuts, tree nuts, sesame, fish or shellfish while he’s there, and the cooking utensils may need to be cleaned before he prepares his meal. He’s become quite a good cook! We even send jelly with him because many families put the peanut butter knife into the jelly jar, which could cause anaphylaxis for the peanut allergic child. Eating over at another family’s house hasn’t occurred very frequently for us because of our son’s pet allergies, and his inability to be in a house with dogs or cats. When we have gone to another family’s house, we will frequently pack our son safe food. We are also bold enough to ask that none of his food allergens be served to the rest of the guests. Our closest friends understand this and have been wonderful in keeping him safe. Traveling and eating out is an experience our family enjoys tremendously. With pre-planning and safe food preparation, we’ve been able to enjoy the sites of many cities, National Parks and camp grounds. Even eating out can be fun once we gained enough knowledge to foresee potential hazards on a restaurant’s menu or at a friend’s house.